Oh, you guys and gals and uplifted mammals, it's so good! This a Hugo winner (and Locus and Nebula) I really liked. Startide Rising won in 1984, and this reading project gave me the chance to get around to reading the first three books in David Brin's Uplift Saga. They take place nearly 500 years in the future, while the people of Earth are newcomers to a rigidly codified galactic culture where status is based on your sapience lineage. Every other space culture knows who engineered, taught, and otherwise cajoled them into the world of thought. Not humans. Their foundling status is in dispute: who uplifted them? No one claims credit or blame- is humankind the first since the Progenitors to smarten themselves up? Who made who? Who made YOU? Whatever the case, humans are not the popular kids, but they have a couple of 'kids' of their own: genetically engineered intelligent apes, dolphins, and dogs have become Earth races on their own quest for rights and respect in a wider community. Startide Rising is the tale of the Streaker, the first dolphin crewed starship, and the startling discovery they stumble upon that makes them the most wanted fugitives in space. Intrigue, mutiny, moon-sized derelict ships, and a talking chimp. What's not to love? Why did the movie fail to happen, I ask you? I'd go see that. Is it because dolphins are well-known 'slappers'? Couldn't keep their fins off themselves long enough to make a serious movie? I've got a bunch of unread Brin on my shelves I'd like to get back to. 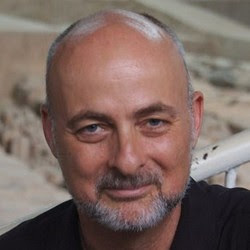 Also, check out David Brin's blog under his name highlight above: he had much to say about the recent Rapture Fail. Seems like a cool guy. I'm glad he didn't vanish up to heaven yet. In fact, everybody I like is still here: I guess we'd better get used to uplifting each other.